Mn. 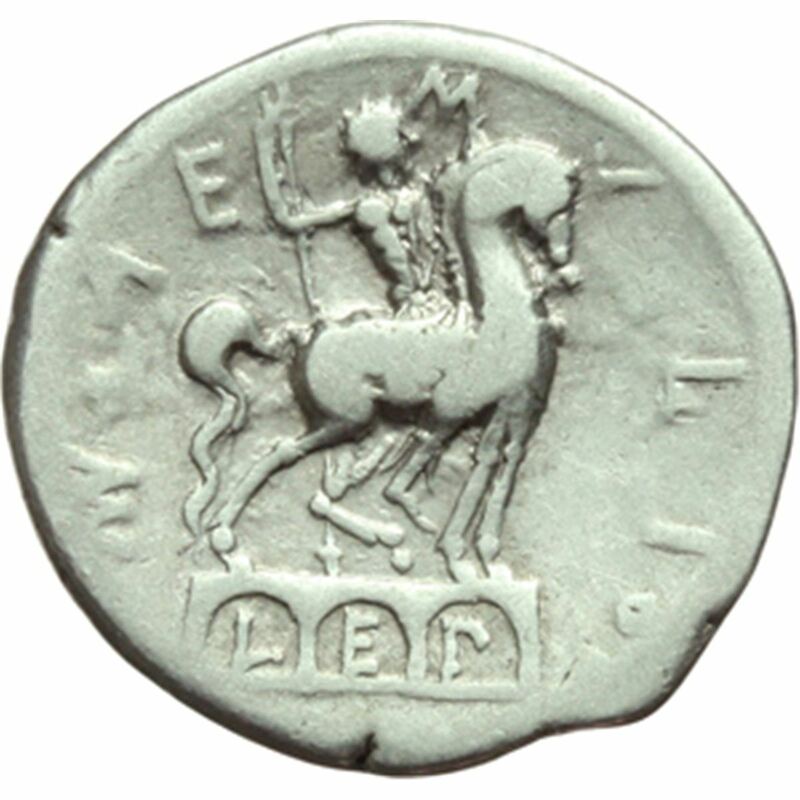 Aemilius Lepidus was one of he moneyers for the year 114-113 BC. According to Crawford, he is probably the father of the consul from 66 BC, Mn. Aemilius Mn.f. Lepius, and perhaps the son of the son of the consul from 126 BC. M. Aemilius Lepidus. Gens Aemilia, originally written Aimilia, was one of the greatest patrician families at Rome. The gens was of great antiquity, and claimed descent from Numa Pompilius, the second King of Rome. The Aemilii were almost certainly one of the gentes maiores, the most important of the patrician families. The cognomen 'Lepidus' means 'charming' or 'amusing'.